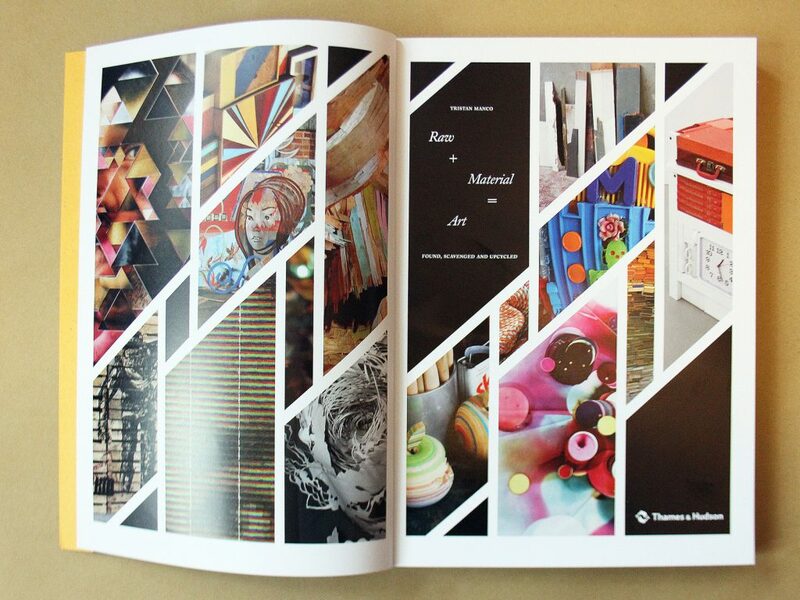 Artistic director Tristan Manco is the author of numerous art and design books published by Thames and Hudson. 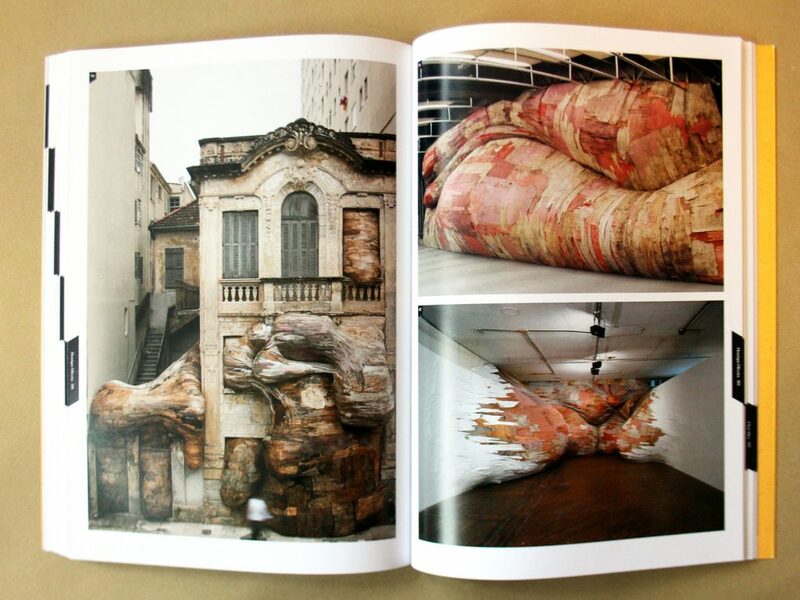 A role which includes initial concepts, writing of original text, picture research and art direction. For over 15 years he has built up a dynamic relationship with T&H’s in-house team in the collaboration of each title. 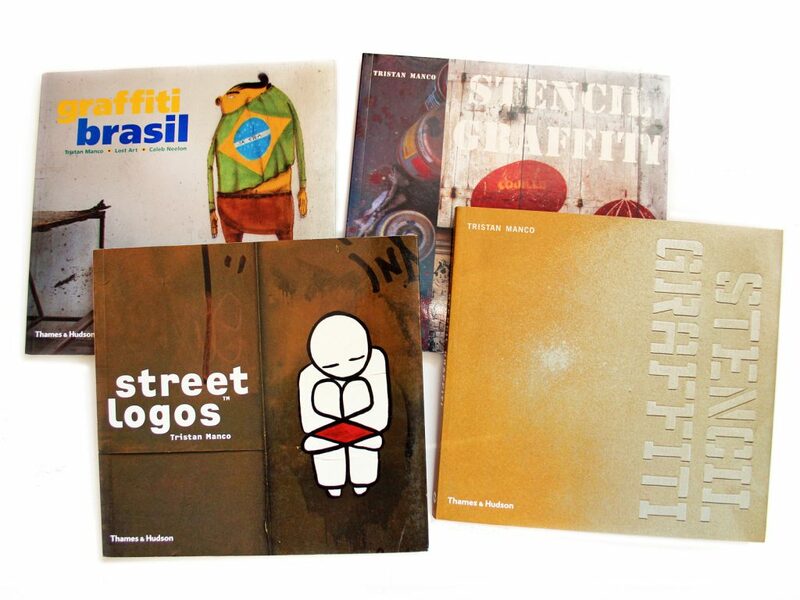 The first three books Stencil Graffiti (2002), Street Logos (2004) & Graffiti Brasil (2005) all have a similar small affordable paperback format – an ideal for their target market. 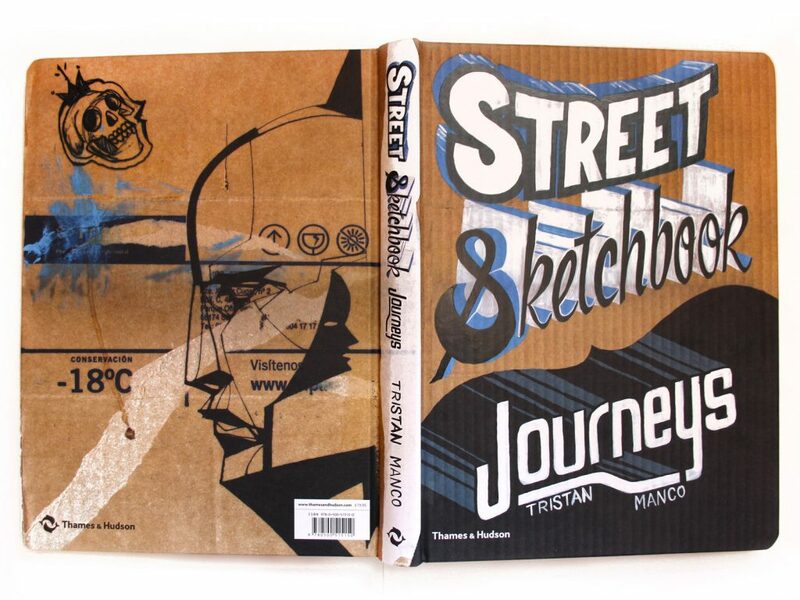 Street Sketchbook (2007) and Street Sketchbook: Journeys (2010) were a first foray into hardcover books. 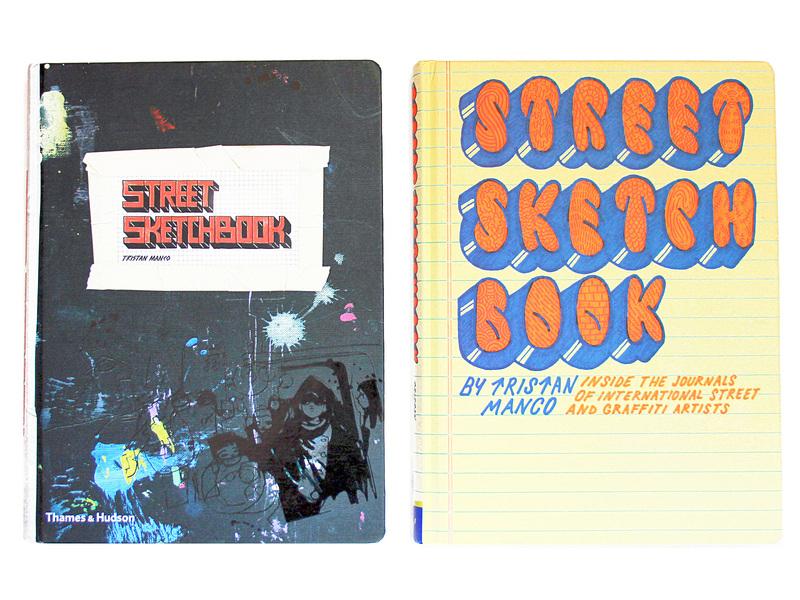 The idea behind their design was to look and feel like real sketchbooks with a hard cover and rounded corners. 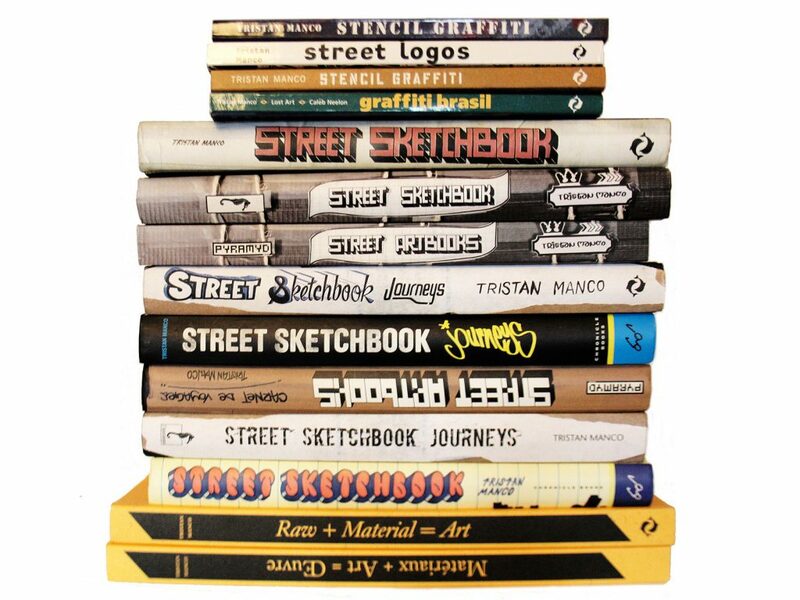 Street Sketchbook won an British Book industry award for its jacket design which also featured a spot varnish picking out the illustrations by Will Barras. 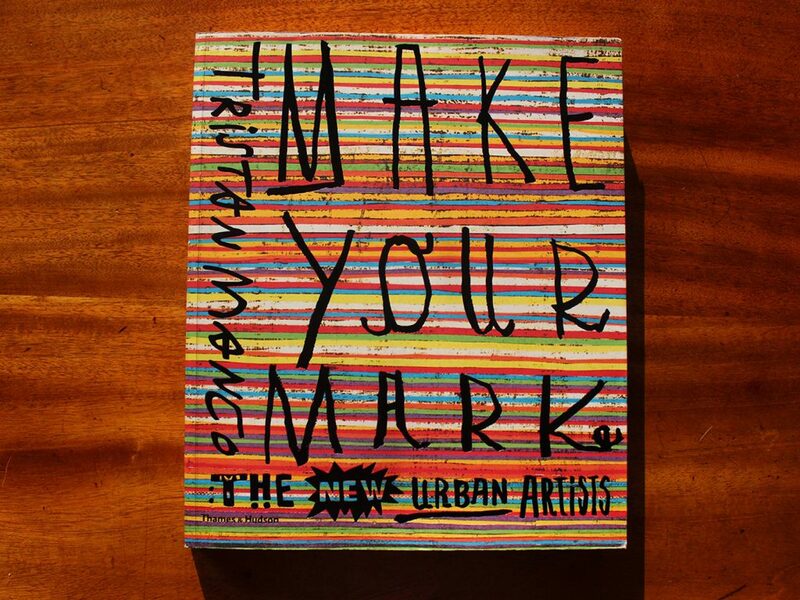 For a number of books it was a pleasure to commission artists to create bespoke typography for the covers; Street Sketchbook features the work of artists Andy Rementer & A.J.Purdy, Street Sketchbook: Journeys was hand drawn by Max Rippon and most recently Make Your Mark is the work of artists 44Flavours. Each book has been printed in numerous language editions which often have a different cover for each territory.